With more than a century of design and manufacturing experience, RECARO fascinates with trailblazing solutions for better seating. RECARO Aircraft Seating is a global supplier of premium aircraft seats for leading airlines around the world. Based in Schwäbisch Hall, Germany, the company employs more than 1,600 worldwide including 350 at their facility in Fort Worth at the Alliance Airport. RECARO has made a name for itself as a supplier of innovative economy and business class seats. They have earned distinctions that prove its products are the industry benchmark. 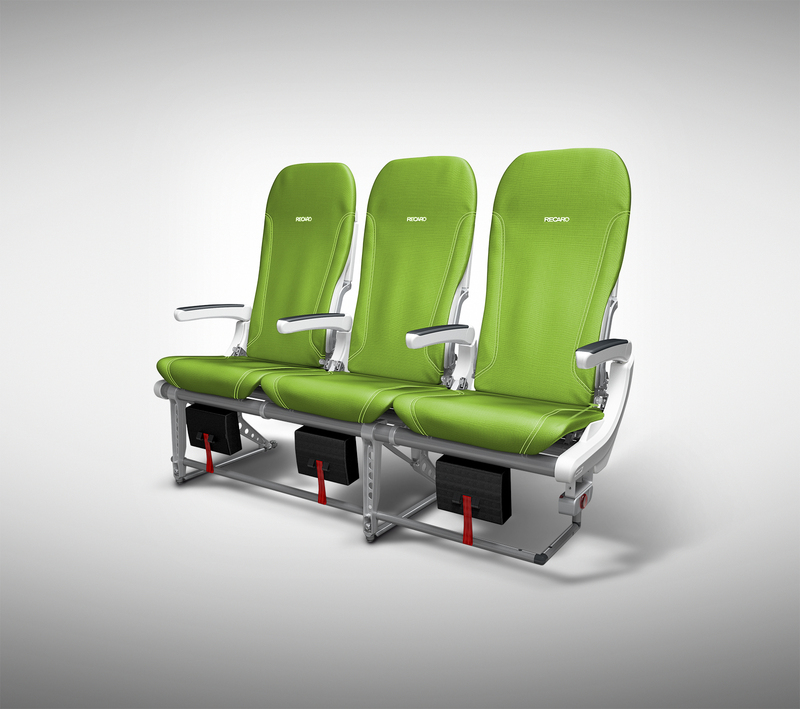 They rank among the world’s top three aircraft seat manufacturers. In 2010, RECARO Aircraft Seating Americas, Inc.’s Executive Vice President of Operations, Yvonne McConachie, had the understanding and foresight on how a Lean program could help RECARO Aircraft Seating Americas, Inc. efficiently grow to meet upcoming demand. She then created the Operations Excellence team. The Operations Excellence group, having experience with TMACs Lean Six Sigma (LSS) program previously, suggested to management that partnering with TMAC would help take RECARO Aircraft Seating Americas, Inc. to the next level. Yvonne McConachie knows that when you surround yourself with the right people, success is highly attainable. Because of that, she encouraged and supported the recommended strategic partnership with TMAC. As a requirement for TMAC’s Lean Six Sigma SS Black Belt certification, participants have to implement company projects that result in positive financial impacts. During 2011 and 2012 three Operations Excellence Leaders, dubbed “The Lean Ladies”, Diane Karch, Dora Manzi and Ileana Lutkenhaus, worked with teams on two projects selected to implement the LSS DMAIC process: Define, Measure, Analyze, Improve and Control. The reconfigured production area is now neat, uncluttered and operates with a pull system providing only parts needed per job. The Lean Ladies are often found on the plant floor working side by side with process owners. Now that the results have been quantified and dollarized, the Lean Ladies are being pulled in to other departments to replicate successes found in production. Additional Lean initiatives that complemented the Black Belt projects were implemented along the way. The total return on investment for RECARO Aircraft Seating Americas, Inc. widely ranges from increased capacity for new work, lowered turnover, overtime reduction, higher morale, more productive employees and a decreasing reliance on temporary contract workers. The employees feel valued and empowered to implement improvements and change. The results tell the story. The TMAC training had an immediate and positive impact on our operations. The LSS Black Belt projects led us to improved efficiencies which prepared us for growth from 20,000 PAX (seat units) per year to 40,000 PAX per year. Another key to our success has been bottom up leadership. Employees are empowered from the bottom to the top to find ways to improve the organization. The DMAIC process gives our employees the avenue in which to implement their ideas and reap the rewards of their efforts. In order to sustain growth and profitability we must have a Lean organization led by our people and strongly supported by management.